During the last two years, there has been pressure put on the authorities to re-open the cirque. It was always considered the highlight of the two week hike. It has taken several visits by expert geological teams, lengthy evaluation and discussion before the official ban has been lifted. On the 10th June 2015, the ‘Cirque de Solitude’ was the scene of a horrific accident. The cirque is called Cascittoni in the Corsican language. It is a steep enclosed chasm, a cirque. You could climb down into its depths and once at the bottom, you traverse 15 mins across boulders before heading up the other side which is equally steep. The day of the accident, there was a red weather alert, this signifies intense, phenomenal danger, of exceptional intensity. The storm that took place was so violent that mud and rock shifted from the high ground and crashed down into the cirque, changing the very aspect and geology of the site. Seven people tragically lost their lives in the cirque that day. Since this time, the Cirque de Solitude has been closed. 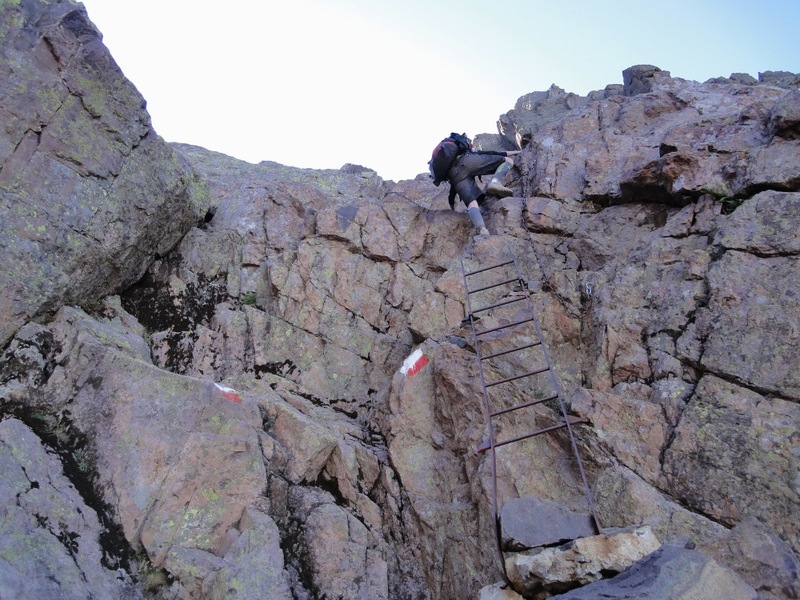 The famous GR20 walking trail was diverted, a whole new section was way marked and equipped to provide a workable solution. The new itinerary went up and over the Monte Cinto ridge line at a point called ‘La Pointe des Eboulis.’ The walk is longer, more physical and a lot higher than the original itinerary which means the weather is more precarious and the snow is present longer. The variant via the Cinto is still the official GR20 route, however, it is no longer forbidden to do the Cirque de Solitude. Although the zone is considered stable, there is none of the equipment that was present before the accident, there is no way marking, no chains, no ladders, nothing to help you through. Unless you are with a professional qualified guide, stick to the way marked route.